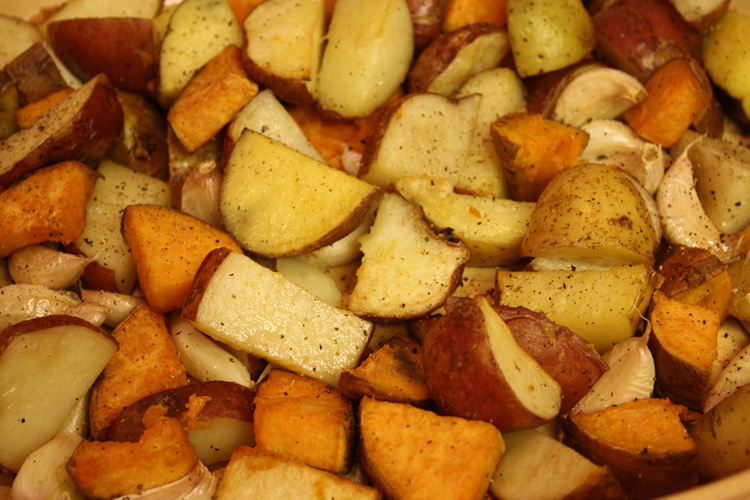 These roasted potatoes go well with every dinner recipe. Impress the whole family with our easy recipe. Preheat oven to 400F. Cut potatoes into equal sizes, about half the size of a ping-pong ball. 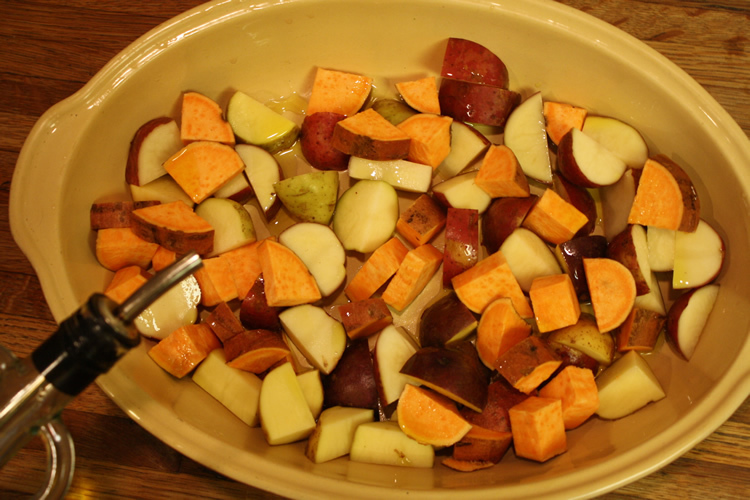 Place into a large baking dish and mix with olive oil. Cook in oven for 45 minutes, taking out to stir 2-3 times. Add garlic cloves after 15 minutes (optional). Remove when potatoes are golden brown. Garnish with salt and pepper.